W.O.M.A.N.S. 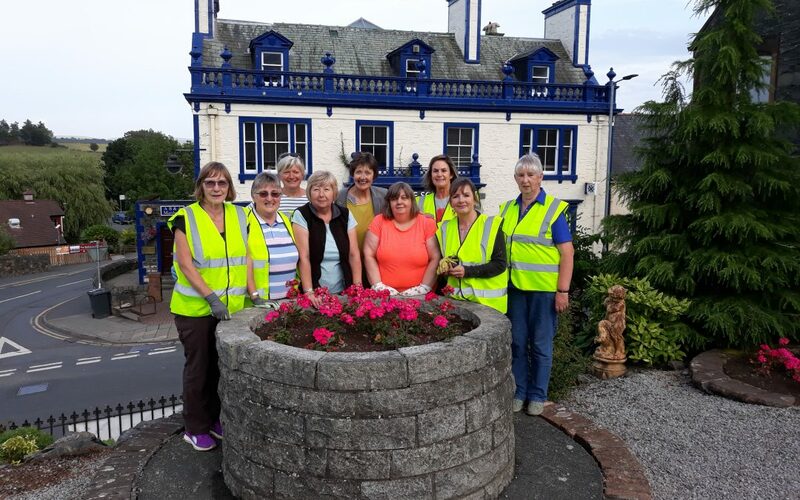 (Women Of Minnigaff And Newton Stewart) was formed in 2017 by volunteers who wanted to contribute to civic pride in Newton Stewart by taking care of the town’s flower beds and planters, tackling overgrown areas and doing litter-picks. W.O.M.A.N.S. were awarded £893 from the Kilgallioch Fund which has enabled them to purchase gardening and grounds maintenance equipment, including watering cans, tools, gloves and high vis vests which are being kept in an easy accessible central storage unit for any member to use. The group are using the new equipment for maintenance and watering of local planters, hanging baskets and carrying out ‘tidy up’ work around public areas. W.O.M.A.N.S. has 18 active local members and actively uses social media to engage with over 400 people in the local community, so that people can see what the group has achieved and flag up new areas that need a tidy up.